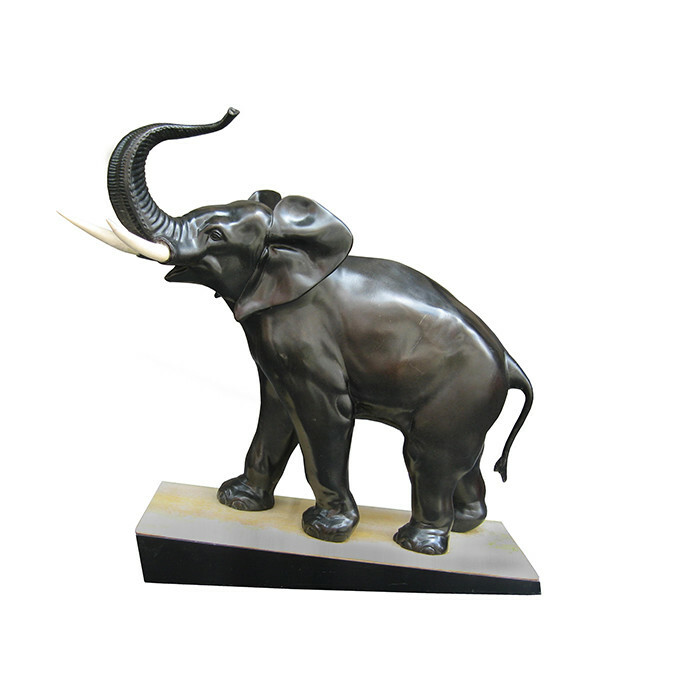 A Rochard designed Art Deco African elephant sculpture. Patinated bronze on an onyx and marble base with ivory details. Signed on the base: Rochard. Dimensions: H:20¼ W:17¾ D:7 Inches.